Our roundup this week is packed with informative nuggets and insights, right from how Target plans to use beacons across 50 of its stores, to how travellers can get a better experience at the JFK airport and more. So sit back, sip a cup of coffee and check out the stories we have lined up for you. Target, the second largest general merchandise retailer in the U.S., announced recently that it will start testing beacon technology in 50 of its stores nationwide. With this, it joins a long list of retailers already using beacons in their stores. 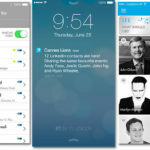 The company plans to limit the number of beacon notifications to two push notifications per shopping trip, so as not to overwhelm customers with alerts. The recommendations, may appear both as push alerts as well as in-app updates on the Target app’s “Target Run” page, which is designed like a social media news feed offering deals, product picks, top-pinned items from Pinterest, and more. Target is initially testing the technology in 50 stores, in Chicago, Denver, Minneapolis, New York City, Pittsburgh, Portland, San Francisco and Seattle. Check out this article to learn more. A recent Harris Interactive poll on how people use their phones during a concert or event, reveals that 31% of Millennials (18 to 34 year olds) use their phones for half the concert or longer. While, that’s a lot of time to be looking at a small display while the main event is happening in real life, it could be a good sign for artists, bands and brands. Using iBeacon technology, push notifications could be sent to smartphones in the vicinity, providing users with product information, flash sales or deals. For example, if an attendee receives a notification about an artist’s branded product, he could make the purchase with his phone during the show when the impulse strikes, and just pick it up on the way out, or have it sent to himself. Check out this article to learn how brands can target a highly motivated and captive concert audience, using beacons. New York City’s John F. Kennedy International Airport recently launched an entire system at its Terminal 4 to track the location of travelers’ phones in order to measure wait times at security checkpoints, customs areas and even the taxi queue. The tracking system monitors Wi-Fi and Bluetooth signals from smartphones, as passengers enter the terminal and maneuver through the checkpoints. With this, the company aims to take away anxiety, and provide information by broadcasting the wait times on monitors, based on which passengers can make decisions. The monitoring system can analyze passengers’ movements to also identify congested areas, providing management staff the ability to ultimately reduce processing times in security and customs lines. Check out this article to learn how beacons are being used to streamline traveller experience at the airport. Beacons present several opportunities to make mall experiences more delightful for shoppers, but they also provide various analytics that can be incredibly useful for mall owners. The article talks about how mall owners can gently nudge visitors entering the mall to download the relevant app or enable bluetooth for an enhanced shopping experience, track general visitor behaviour and more. Mall owners can also gain deep insights on which beacon campaigns are most effective, which beacons get the most ‘hits’ and thus decide on an optimal strategy for their beacon campaigns. 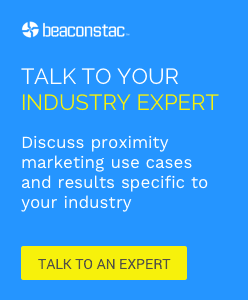 Check out this article on how mall owners can use beacons to collect and interpret these analytics using the Beaconstac platform. While there’s no doubt that beacons are going mainstream, there’s an obstacle that each new adopter of beacons needs to overcome before efforts translate to consumers: they need to get you to download an app that works with their beacons. App development firm Piper, thus tried the most obvious solution – make an app that works with everybody’s beacons. For this, however, the app would need a critical mass of users. They thus chose a ‘self-contained’ location: Columbus where they placed beacons, everywhere. There are about 1,250 Piper beacons in Columbus, at 22 McDonald’s restaurants in the area, in the 5-mile-long RiverWalk park, the Columbus State University and more. Check out this article to learn more.